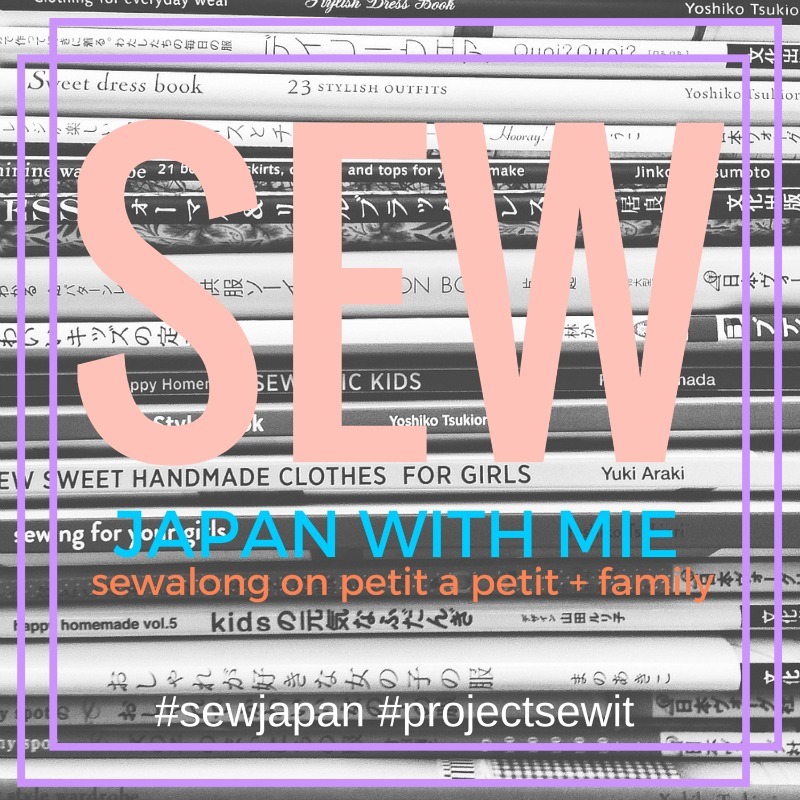 Even though I was the controller on Willow & Co Patterns' first collection, I was not able to actually sew all the patterns before the release. I'm only human, right! 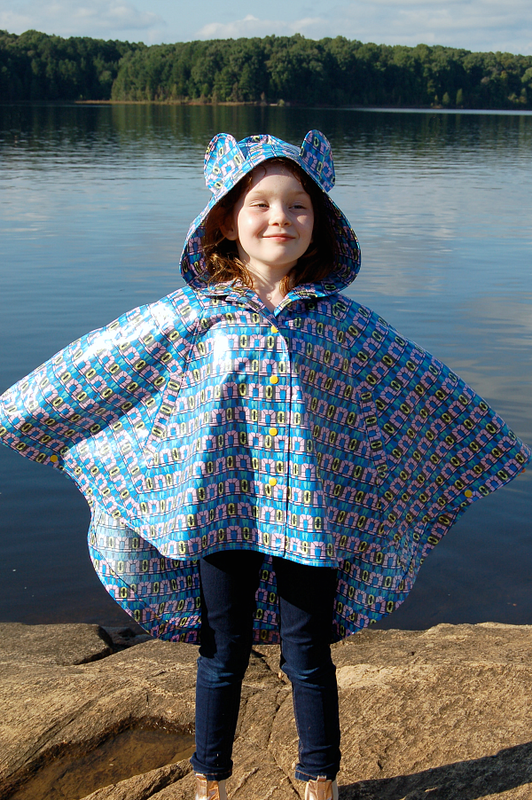 Today I'm ticking off another pattern, the amazing Elm Poncho Raincoat by Petit a Petit and Family. And YES, this is another GREAT pattern. 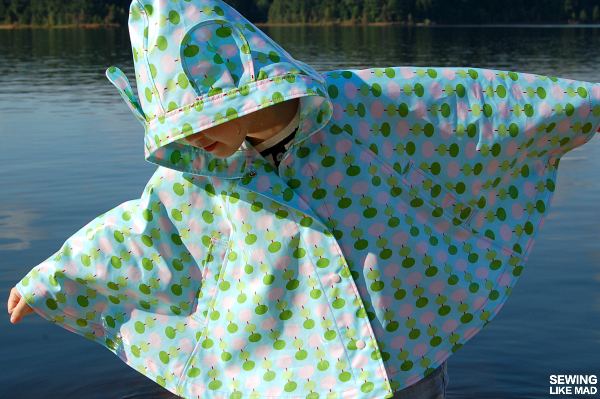 It comes with tons of options like with or without lining depending on whether you make it in water-resistant fabric (then no lining) or make it more like a jacket (then lining is a nice option). There are two types of pockets and the hood can be decorated with two types of ears OR a visor....I mean that's a lot for $10!! Both fabrics are laminated cottons bought at Fabric.com. The one with blue base (above) is Amy Butler. The one with mint/baby blue base is Tula Pink from Free Spirit Fabrics. I have never worked with laminated cottons before but as long as I used my teflon foot the sewing was easy. I did not even finished the seams inside - simply kept them raw. I covered the fabric before I pressed the seams but later realized it was able to handle a bit of heat directly from my iron without melting - I did not experiment how much though! I also topstitched all seams with a thicker topstitching thread to keep the seams nice and flat at all time. Juki to the rescue again! What gave me the biggest problems with this fabric was the fact that it had probably shifted a tiny bit when the fabric was laminated which meant cutting the print to match up at the seams was super hard. I could not just fold the fabric carefully and then cut both layers (left and right side). Noooo, I had to cut one and then cut the corresponding piece to get matching pieces. GAH!! But I just knew it would be worth it for me in the end so I tried not to think about it too much, just do it! 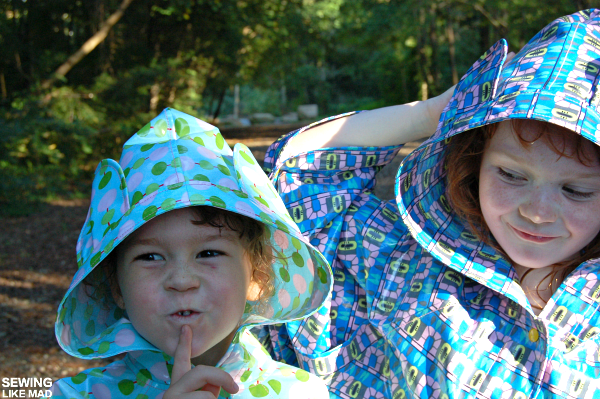 Both girls clearly love their rain ponchos - even though it really was way too warm to wear them that day....and it was not raining, ahem....whatever! And I love the pattern because not only is the result absolutely adorable. It is also something I never really thought about making for my girls (which of course now totally has me wonder WHY?). The sewing was so fun and not hard at all and the pattern itself is absolutely the way I want sewing patterns to be. With lines matching up, notches that helps the sewing process and a professional finish. Ahhhhh. I love how the pattern has snaps a bit under the arms/hands on the hem (can you spot the pink one from the pink spots in the print?). 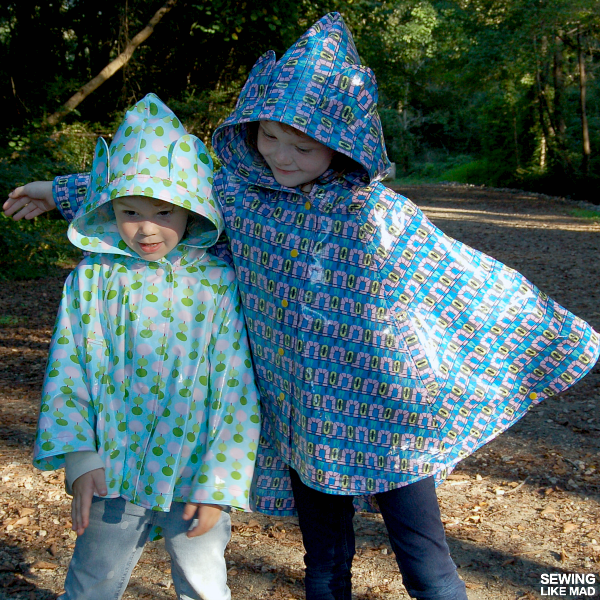 It creates sort of a sleeve opening and my kids can easily play, move freely and reach for things because the snaps keeps the poncho in place. Clever! I put inseam welt pockets in them both. It really is the easiest of them all in the welt pocket family (so don't be scared) and they add a great 'finished' look to the poncho. Because I did not read properly on the pattern piece, I ended up only cutting two welt pieces for each poncho and then folding each welt in half. You can totally do that too it just means a more narrow welt than the pattern calls for. I only noticed my mistake when I cut my second poncho and suddenly noticed it said to cut 4 pieces - oooops. 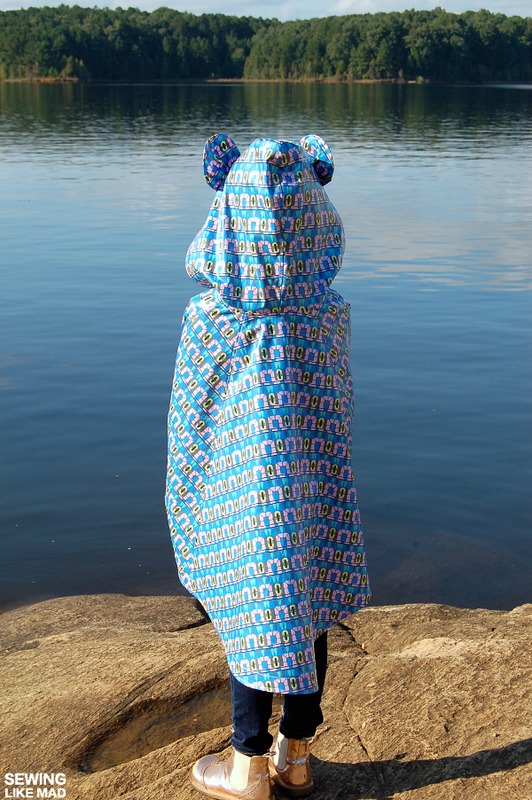 And since I already had one poncho with narrow welts I thought I could just as well do the same to the other one too! There was quite a lot of shenanigans in this photo shot but for once no break downs from the littlest of the ladies, phew. She even wore PANTS for this....and I only had to like BEG to get her to do that. I guess miracles do happen!! Okay fall rain....we are ready for you!! 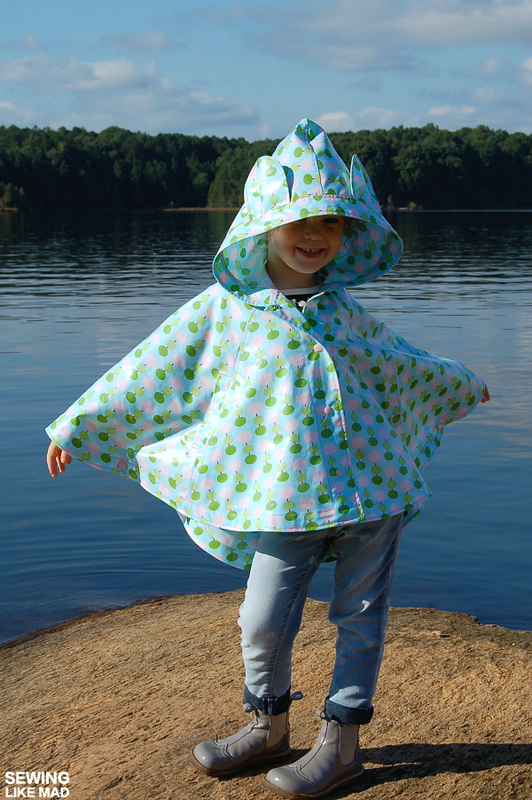 Get your Elm Poncho Paincoat pattern HERE. Love your ponchos. 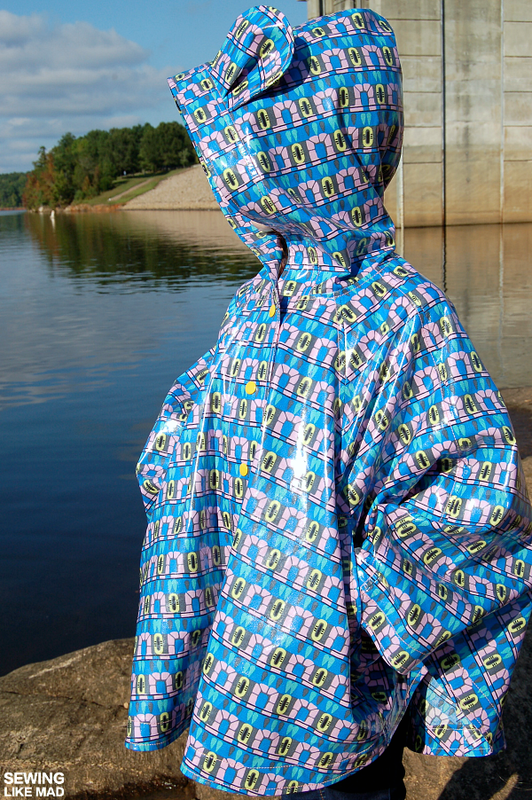 I would love to sew a rain jacket but i'm afraid about the seams. They aren't water proof right? Or did you seal them? I did press all the seam to one side (as opposed to splitting them) plus I topstitched them so that will definitely add an extra dimension of water proofness. LOVE Love love looooooove! Tuesday couldn't come fast enough. Thank you for such a cute post! oh and the shoes. I love the shoes too! These are so awesome! The print matching on the Amy Butler one is insanely perfect!!!! And the topstitching makes all the diference. Love them!! They look amazing Mie! So well made and the welt pockets look perfect as they are. 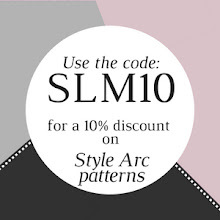 I really want to try this pattern. 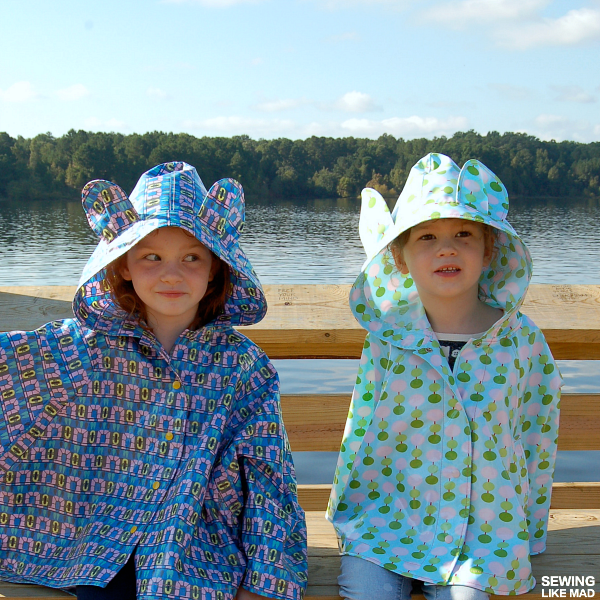 These look great and because ponchos are so loose fitting, they will be able to wear them for a long time before you have to make more! 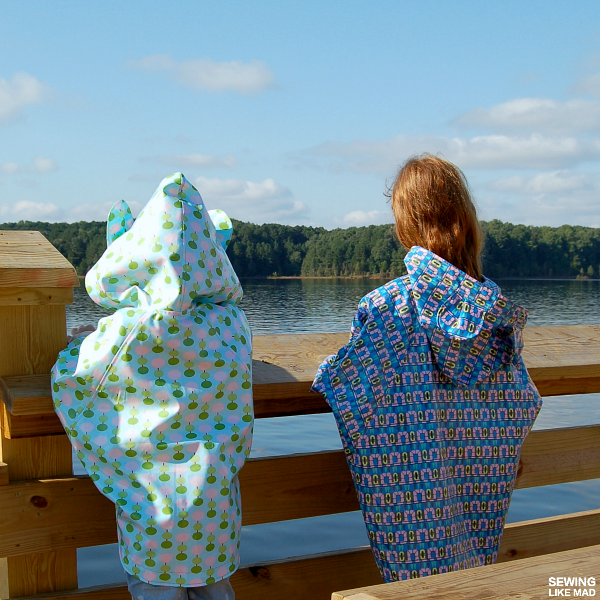 hahaha miracles do happen indeed ;) How cute are your girls in their ponchos!!! The fabrics are super cute, and I think it was totally worth the extra time you spent cutting out all the pieces, because the result is super! The Mulberry Tunic Turned Sweatshirt.